When spring hits, I become OBSESSED with being outside. 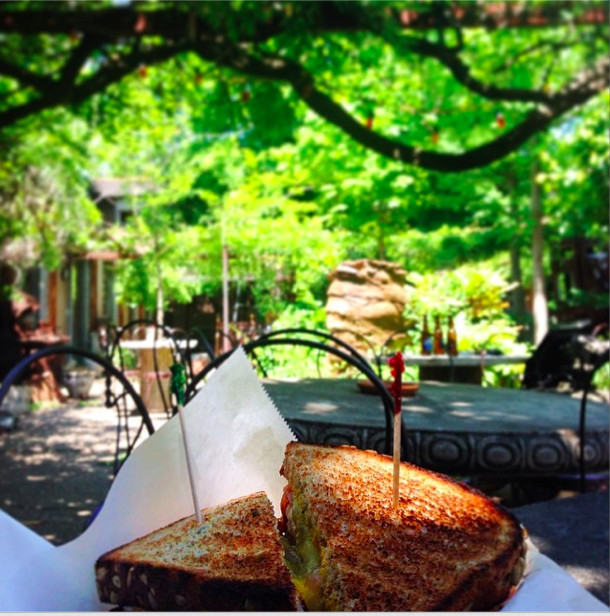 And by "being" outside, I mean eating outside. There is no patio I won't frequent. I may actually be on your patio right now. The rest of outside can pretty much stick it. When I go to the park to eat my chicken nuggets at a picnic table and I see folks running, I think "Who hurt you runner person? Come eat a fudgsicle with me under this awning." P.S. 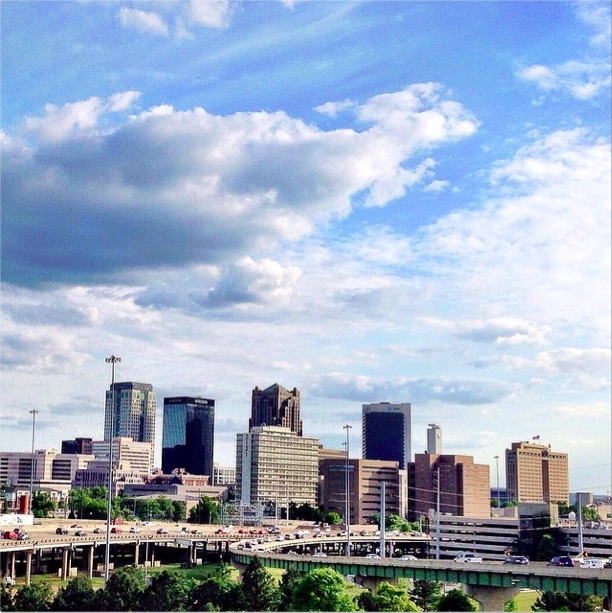 If you are ever in Birmingham, we will eat at Garage Cafe together. It will seal the deal on our friendship. Another component of spring I fancy is the farmers' market. Although I wish there were farmers' markets that started at noon rather than closed at noon. 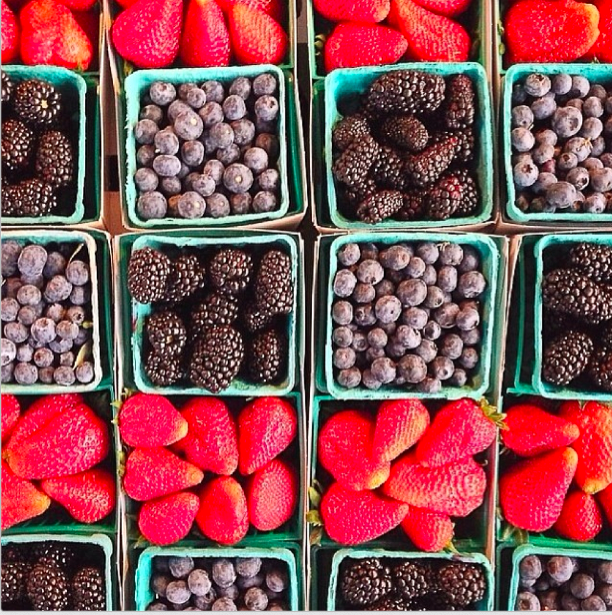 I would spend all my allowance on berries. The unfortunate part is I don't cook. Not even a little, so I have to stick to things you can rinse off and eat immediately. Or jellies. Or jams. Or marmalades. Or preserves. By the way, what is the difference between those four? Is it a scam by farmers? Me thinks so. These are my delightful friends, Haley and Jen. 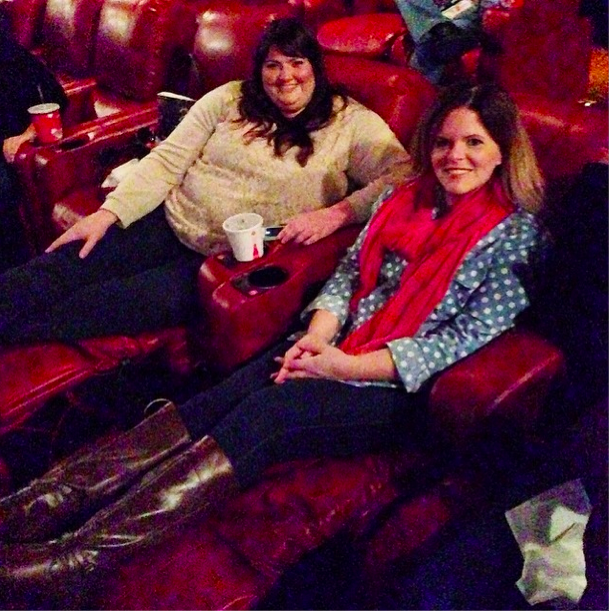 They're lounging in a movie theater in Atlanta where we went to see the Veronica Mars movie. I want to live in this AMC complex. Cupholders, free popcorn refills, and leather chairs that recline incrementally based on your emotional state. And your emotional state is all whimsy and twinkle stars because of these chairs. 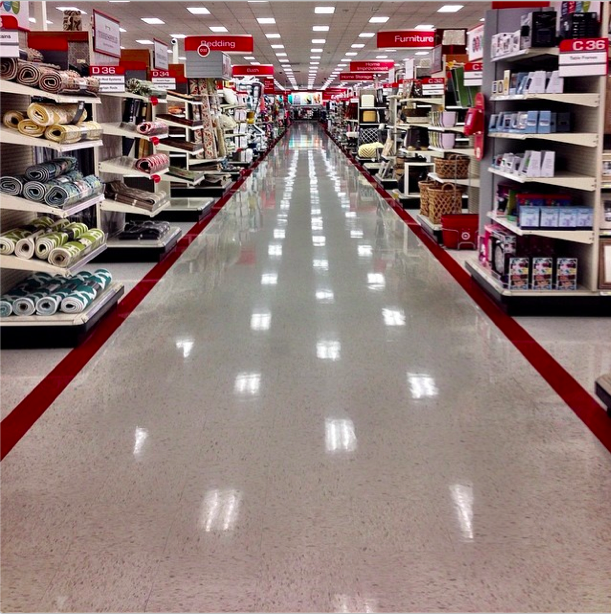 I am my most irrational when I go to Target. On any given day, my list includes milk, eggs, and hairspray. I leave with milk, eggs, a picture frame, towels, post-it notes, nail polish, two workout DVDs and NOT HAIRSPRAY. 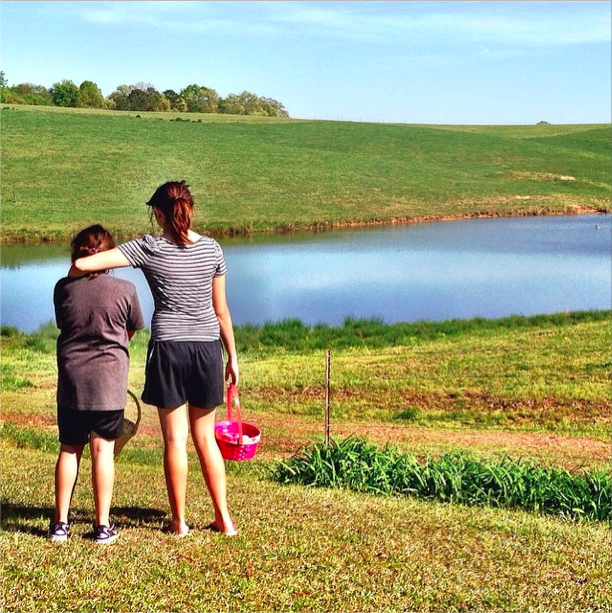 These are my youngest nieces on a scenic hillside for our annual family Easter Egg hunt. In this moment of contemplation, they're plotting where on the "estate" they haven't looked since seven eggs are still missing. Although I was the one who hid the eggs, I am no assistance. I'm distracted by baby cows and the fact that I'm outside without a snack. Those eggs were found one week later when my Dad cut the grass. RIP Starburst jellybeans. Chronologically, I'm Generation X, but my Y tendencies are strong. This is most noticeable when I'm driving. I can't seem to just be present in a car and be still when there's a down moment. When the light turns red or the traffic is stop and go like in the photo above, I immediately reach for my phone. BECAUSE GOD FORBID I NOT TAKE A PICTURE AND EDIT IT AND POST IT SO YOU KNOW WHAT'S HAPPENING.